When you engage me to write your business plan, I also deliver the primary tool you need to effectively communicate that plan to your target audiences (and knock their socks off). The Pitch Deck is a brief, cut-to-the-chase, high-impact presentation of your business opportunity in Investor-Speak. One pitch Deck reigns supreme: Guy Kawasaki’s 10-20-30 Rule model. Like the Investor-Quality Business Plan, the 10-20-30 Rule positions you as a savvy business leader. The Pitch is an art. By condensing your story down to the 10-20-30 rule, you are forced to consolidate a lengthy dissertation with a lot of details down to core concepts and key points. Only the most important facts related to a successful business. What is the 10-20-30 Rule? Guy Kawasaki is the Entrepreneur’s Entrepreneur. After taking Silicon Valley by storm in the 2000’s, he continues to blaze new trails and consults with leading entrepreneurs world-wide. He helps them to achieve new heights by taking them behind the scenes to learn how business leaders think. And so it has been adopted the world over. 30 point font doesn’t allow for many words on each slide. Sometimes, business owners and managers are just too close to the details to be able to get the entire thing down to this level. So I take that off your plate and provide you a pitch deck that’s ready to rock. Investors’ attention spans are surprisingly short. They’re not as interested in every word as you might like. In fact, they become easily bored and quickly lose focus. So one or two trailing sentences shove them off the deep end into daydreams about other pressing matters. It’s true. So don’t give them that opportunity. Stay on point and rise above your competitors. Investors may also ask you to email the plan. It needs to stand on its own, as a full description in concise, easily digested language. Even if you never pitch to investors, it serves you for years as a concise summary of the guiding principles of your business. 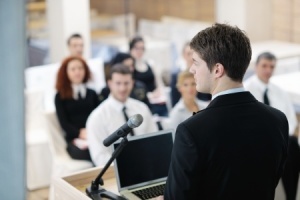 You may use your Pitch Deck to present your business to a larger audience. You might send it to prospective Board or Advisory members to entice them to join. Or your top employees can use it as an evangelistic tool, as Kawasaki himself does. When promoting your business at the highest levels, it’s priceless. And it’s included as an integral part of your business plan delivery. So give a shout to invite a sit-down discussion of your needs.